Our next influencer is Jamie Mabry, one of the spunkiest women I know who also happens to be my aunt. She not only is in the work place, but is raising three kids. She is one of the most outgoing people I know, and is always trying to put others before herself. Read below for her awesome advice and what she thinks about Girl em[Power]ment. Introducing Jamie Mabry, of Shionogi, Inc.
A: Shionogi Pharmaceutical Representative: I have been in sales for 20 years. I was a stay at home mom for 10 years. When my children began school, I went back into the work force. A: I have been very fortunate that I don’t believe I have had negative relationships concerning woman in the work force. A: My grandmother is my greatest mentor. She was the picture of humility, grace, love, and compassion. She went back to school to become a LPN at the age of 60, after having her own education cut short due to the Depression and having to help the family earn a living in the dust bowl of Texas. She learned to drive at the age of 50 when faced with the death of her husband, who has her taxi up until that point. She had several miscarriages in her early years of marriage. She had one son, whom she adored. Mammaw never had a bad word to say about anyone. Ever. My Father is the only child of the above mentor. He is a role model to me, not because he is the perfect father, but because he is the perfect father for me. What I love about my dad is he is the most generous person I know. He has enjoyed his life with seemingly little regret and doesn’t blame anyone for his mistakes. He works hard and he plays hard. He tells me he loves me every single time he talks to me. My mother is number three…she is difficult, she is creative and she is opinionated. Three fantastic characteristics if you need to be a survivor. She has survived 54 years of marriage, she has survived two children, she has survived many careers, and she has survived two bouts of invasive breast cancer. My daughter has the exact same outlook on life. What a Blessing they both are. A: With role models as mentioned above, I have felt pretty sure of myself my entire life. That is not what society wants to hear. It wants little girls to think that everything needs to be screwed up in their lives to feel alive. Don’t get me wrong, I could tell plenty of stories of disappointment, but attitude is everything. Don’t let other people dictate your ultimate joy. A: I love to be outside. All and anything outside. Heaven is going to be a mountain and a lake – I am sure of it. I also love football. I am passionate about being strong for myself and other’s. A: I love the Dove campaign of woman of all sizes and ethnicities. That may be a silly answer, but I have always found beauty in woman that rock at being themselves. I HATE boring. 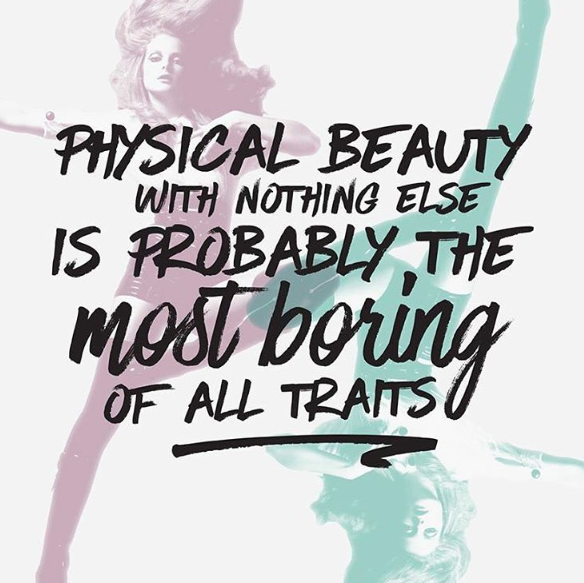 Physical Beauty, with nothing else, is possibly the most boring of all traits. A: I sit on my back porch to relax. A: The advice I would give my twenty year old self, is in all italics throughout this essay. A: Girl Empowerment means: LOVE…1 Corinthians 13:13: And now these three remain: Faith, Hope, and Love…But the greatest of these is Love. I hope you have enjoyed hearing Jamie’s advice – I especially love the last part. Keep following along for the next influencer! Posted on September 27, 2015 October 12, 2015 by flancake13	This entry was posted in Girl em[Power]ment Series. Bookmark the permalink.